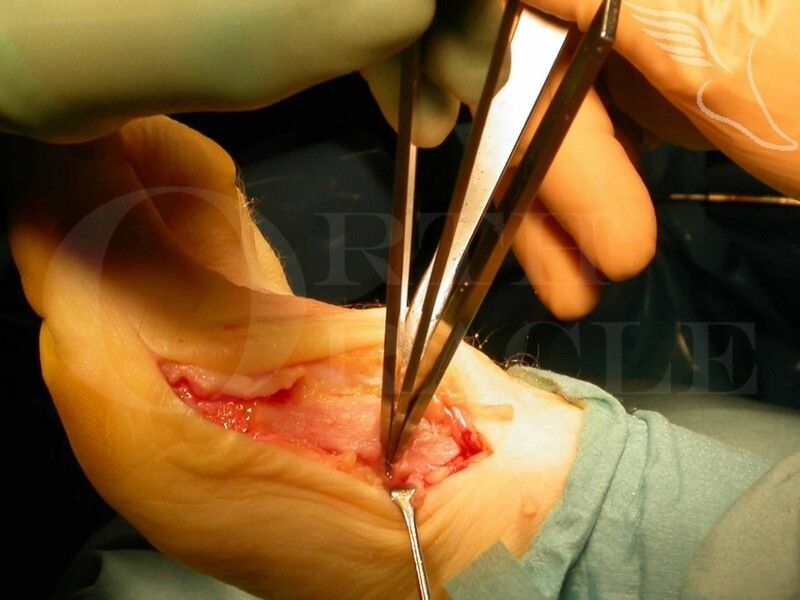 Learn the Basal metatarsal osteotomy (open wedge for Hallux Valgus using Arthrex LPS open wedge system) surgical technique with step by step instructions on OrthOracle. Our e-learning platform contains high resolution images and a certified CME of the Basal metatarsal osteotomy (open wedge for Hallux Valgus using Arthrex LPS open wedge system) surgical procedure. The basal metatarsal osteotomy of the first ray is an operation for moderate to severe Hallux Valgus deformity which can be technically challenging. The choice of an opening wedge osteotomy (as demonstrated in this technique) avoids the shortening of the 1st Ray which can occur with the use of a closing wedge osteotomy, but careful soft tissue balancing is required with the opening wedge. Though the inter-metatarsal angle is well corrected (as long as an appropriately large size of open wedge plate is selected) inevitably the distal metatarsal articular angle (DMAA) is pushed into valgus which means almost always an Akin osteotomy is also required. This is also required to address pronation of the hallux which can be marked with larger deformities. Other procedures are always required to rebalance the soft tissues in particular a modified McBrides procedure and medial capsular plication and on occasion careful Z-lengthening of the extensor tendons to the Hallux. Alternate operations for severe deformities are commonly either corrective first MTP fusions or a Lapidus procedure. The Arthrex LPS open wedge plate is probably the lowest profile plate on the market and plate irritation is as a result rare. This version is non-locking and as such not well suited to softer bone (though a less low profile locking plate is available.